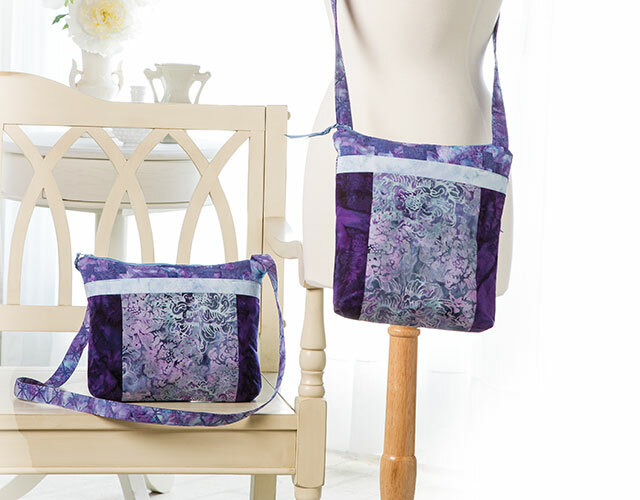 Beginners can easily make this fabulous crossbody bag with Nancy Green of Pink Sand Beach Designs. Find out more in the Class Description below. They're fun. Casual. Convenient. And in style. With extra-long straps to comfortably drape across your body, crossbody bags are perfect for an afternoon of shopping or a lively night out on the town. You'll love wearing this designer crossbody bag. It's sleek shape hugs your body keeping your hands free while also making a fashion statement as the perfect accessory. It's also the perfect size for holding an electronic tablet such as an iPad or Kindle. This Annie's video class is taught by sewing expert Nancy Green, owner of Pink Sand Beach Designs, a company that specialized in bag patterns and kits. Join Nancy as she demonstrates step by step how to cut, sew and finish this crossbody bag made with stunning batiks and quality fusibles. Her exclusive crossbody bag design includes a back zippered pocket for your cell phone, an inside lining with extra pockets, a secure top zippered closure and straps you can adjust to suit your body height. Beginner sewers who can thread their machine and sew a straight line will be able to successfully complete this class. The class is well organized and photographed. The techniques used are professional and easy to follow. The pace of the class is like watching paint dry. We didn't need to watch all the pieces being ironed and ironed again. We didn't need to go over each step 4 or 5 times. I wish the steps in the class were listed so you could just "go to the back zipper" or just go to the strap construction. Nancy's patterns are excellent. This class was laborious. I'm really sorry to say this---I am a professional teacher (Home Ec--Consumer Science degrees); my students would be comatose if I taught at this speed. I feel this class was worth the price! This class gives very specific instructions on how to cut, interface and assemble this bag! I have read some reviews on the class before purchasing. Most of the reviews were 4+ stars so I thought I would give it a try, not sure what to expect, I went in with an open mind. I was taught sewing when they still had home economics in schools which means I have been sewing for 40+ years. Times, interfacing, notions and fabric has changed over that time. In some places I thought the class did run a little slow but I think if I was a beginning sewer I would like and need these extra tips and instructions. With that said, I have not used hardware such as D wings and swivel hooks in my sewing before so the was very useful information to have. You can always learn something if you keep an open mind, just because it is how you do it doesn't mean you can't try a new maybe improved way of doing things. Such as installing zippers - my instruction on zippered was baste seam closed lay down zipper and sew on each side to form a centered zipper or a lapped zipper. definitely old school. 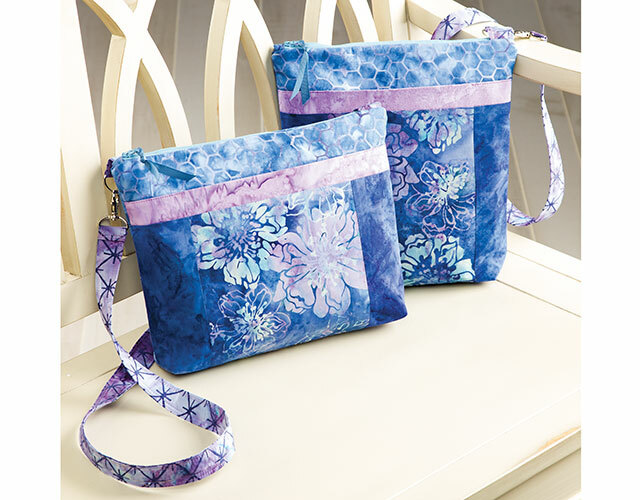 I am wanting to get into more bag making projects so I will be watching for additional classes from Annie's. I wasn't sure if I would get a lot of benefit from this video since I'm an experienced sewer but it's been very helpful. There are tips and things I never knew or learned. As an experienced sewer, I did find that some of the video was not needed so I would just move forward a bit. I've been buying pocketbook patterns and making them on my own but have gotten confused on steps here and there so having someone take you step by step on this beautiful crossbody bag, has been a blessing. I would love to have more videos like this and perhaps some that show you how to sew different wallets. Great pattern, boring instructor. If you're and an absolute beginner you will appreciate. However if you have any sewing experience this course is painfully sloooooow.